Tokyo’s Ginza district is famous for its fine department stores and luxury brands. 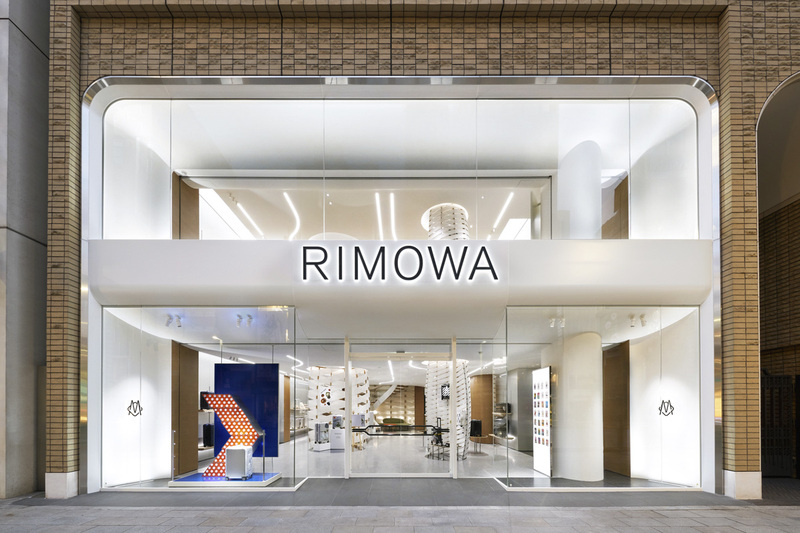 Soon, it will house a new attraction as the legendary German luggage manufacturer Rimowa will open a centrally located 500m2 flagship store. To perfectly present the suitcases with their iconic groove design, a store landscape has been created in which high-quality, Western design harmonizes with Japanese cultural traditions. This Zen-inspired shopping oasis is the creation of the Architecture and Design Studio Labvert, under the direction of Stephan Vary. Acclaimed for its abstract world view, MARLMARL is one of the most dynamic brands of originalbaby clothing in Japan today, and is continuing to expand in both domestic and overseas markets. 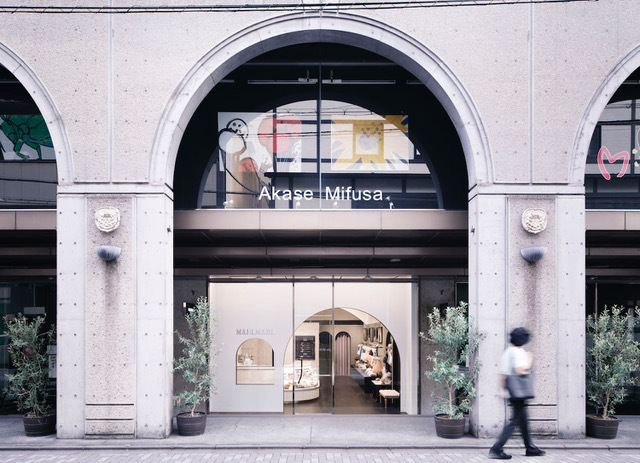 We worked on interior design for the brand in conjunction with the opening of a new branch in the Sanjo-street district of Kyoto, Japan’s historic capital. 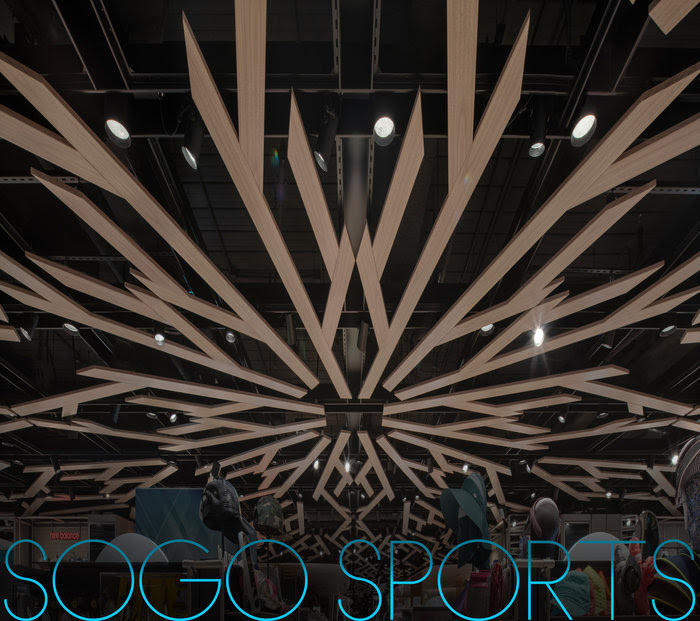 Inspired by Anya Hindmarch, Tadao Ando, Kengo Kuma and Star Wars, “Sports Futura” for SOGO Sports is the recently completed original design in lifestyle shopping for sports from Alexander Wong Architects. Key features of this functional, modular, dynamic and innovative design include “Make-A-Shelf System” (or MASS) inspired by Anya Hindmarch’s “Build-A-Bag” System, Beton Brute Wall & Flooring inspired by Tadao Ando, “Tree of Life Ceiling” inspired by Kengo Kuma’s Starbucks Cafe, “Neon Kendo Interface” inspired by the romance of samurais, “Ball Ball Sky”, “Dynamic Triple Jump Gallery”, “Fluorescent Power Signage” and the “Giant Power Disc” Logo with Neon for SOGO Sports at the main point of arrival by escalators. The days when shopping centers placed importance on functionality over the needs of users are long gone. From retail workers to shoppers, the users of today expect far more than a space strewn with stores and a food court. They are on the hunt for a far more holistic experience: a place to not only shop but unwind from the rigours of their everyday lives, as well. Contemporary shopping centers are the modern-day agoras, with many people gathered to enjoy a variety of leisure activities. When designing these kinds of setting nowadays, user-experience and overall habitability are key concepts, with the actual shopping itself moved to a secondary plane. Retail is detail. That is the oft-quoted wisdom among retail professionals when it comes to designing store operations. You only get one chance to win over a customer when they step into your store. It is, therefore, no surprise that creating a unique in-store customer experience that leaves a lasting first impression on a shopper is the holy grail of retail store design. An attractive interior design is indispensable in not only enticing a customer to enter your store but also to get them to make purchases per trip. The goal behind designing a retail interior space is to attract shoppersinto the store. When a prospective walks by the store without any pre-meditated intention of entering in, the warm and colorful atmosphereinsideshooed be the main thing they see. Human beings are visual creatures, and as such, a beautiful interior will trigger a subconscious choice to enter, even if it’s only to browse. Once inside the store, you can convert them into sales through offers designed to drive impulse purchases. 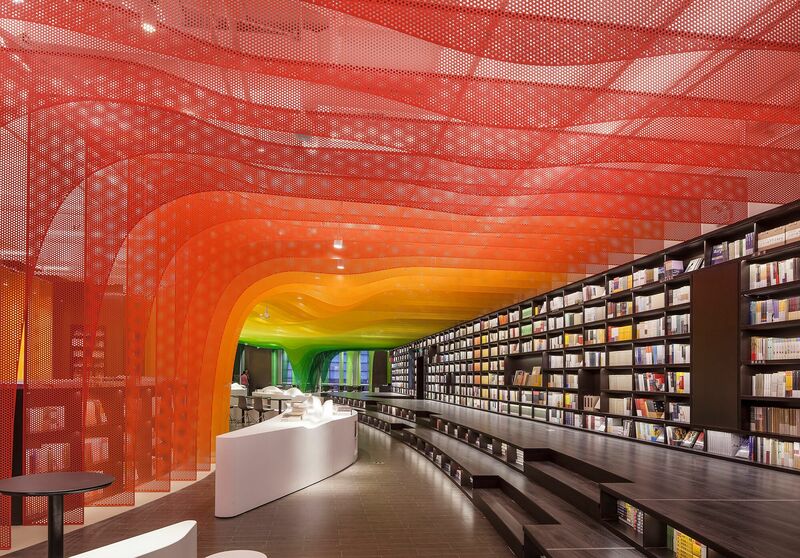 Zhongshu Bookstore in Suzhou, designed by Yu Ting, is the newest one of its brand since the first opened five years ago. The new bookstore is divided into four main zones and several subdivided zones. Aiming to create a colorful new world by using symbolism, the architect gave a unique character to each zone: The Sanctuary of Crystal for new arrivals; The Cave of Fireflies for recommendations; The Xanadu of Rainbows for reading room; The Castle of Innocence for children books. 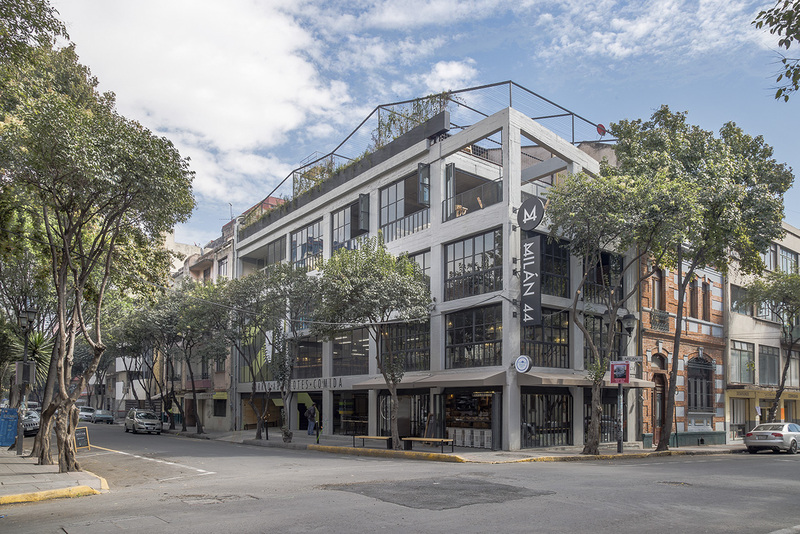 Designed by Francisco Pardo Arquitecto, in collaboration with architect Julio Amezcua, Milán 44 is an urban-regeneration project located in Colonia Juarez, Mexico City. 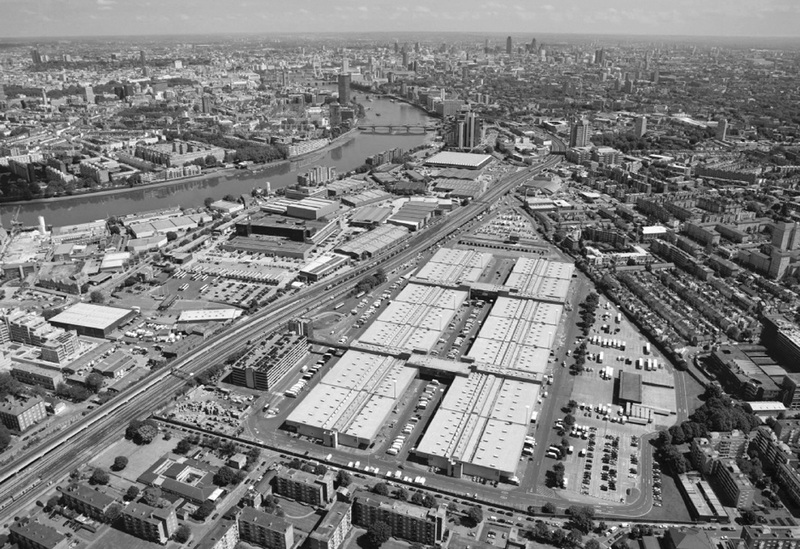 The project transforms a four-storey warehouse built in the early 1900’s that was originally home to an auto-parts store into an urban market that reactivates a neighborhood, which connects two entirely contrasting areas. On one side, the booming business district that lines the emblematic Paseo de la Reforma, and on the other side, the lively epicenter of hipster subculture, Colonia Roma Norte. This area, which has been in decay since the 1985 earthquake, is currently experiencing a slow gentrification process. Centrally located and rich in history, it has been equipped with new infrastructure and now holds the genetic code for the city’s future development.